It is very exciting to know that you will soon have your own child. But most of new dads are anxious and scared as well besides being excited and happy. These new dads are happy to know that soon they will have their own mini-me or little princess but they are anxious on how they will be able to hold and take care of this fragile little angel. You can help by supporting them and giving them a piece of advice how to be a great dad. An expectant dad has a lot of worries so be there to support them and giving them the courage. Here are some gift ideas that will delight them despite the nervousness that they are having. Make them smile and help him prepare for his fatherhood journey. Everybody is excited to see the new addition to the family but he is more excited that anyone else. This funny t-shirt will tease him, but really, it will just make him be more excited about the new baby and his new title being called “DAD.” It is made of 100% cotton with high quality and durability. This show exactly how he is looking forward to see his first born. 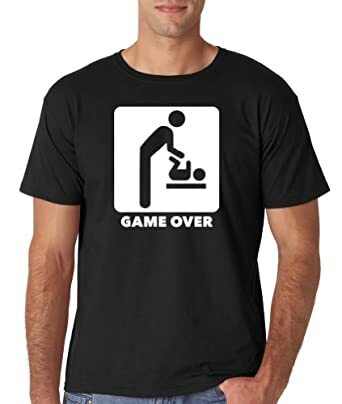 Another funny t-shirt to give your Dad to be. It has a graphic text that says “Mission Accomplished” this is a proof that he is already done with his mission and soon to collect his trophy! Made of 100% cotton, preshrunk and has a double-needle stitched bottom and hems for durability. It is so comfortable to wear. 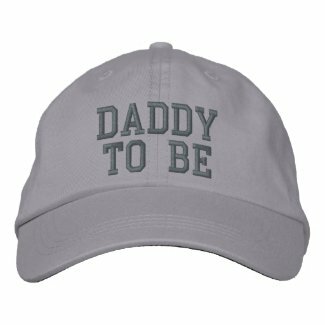 This is perfect for everyday use; special if he wanted to brag and let people know that he is going to be dad soon. Having a baby is really a joyful gift that any man can have. This figurine from Willow Tree is an exact or almost the emotion a Dad-to-be feels. The feeling of expecting a new addition to their family is indescribable and nothing can compensate the happiness of knowing that soon you will see your little angel. It is not an easy task to be in night shift or to take care of his new little angel. Our new dads need to be equipped and ready when ever things happen. Let Dad-to-be be prepared of these “Just in case” scenarios. This gift idea is actually a funny gift but is really useful. 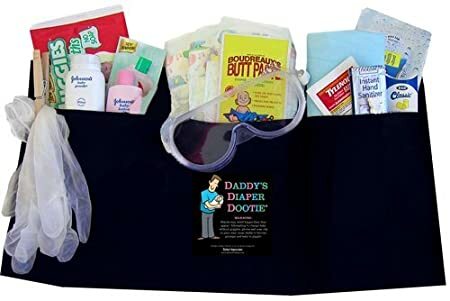 This gift items includes 20 useful items to help your dad-to-be in taking care of his little darling. Diaper changing will be a heavy task for our big guy so better be prepared all the time. Once the baby is at home and daddy is too busy taking care of his little darling he might have less time to take care of his look. For new dads they find it a bit exhausting to look after their new baby. So let your Dad-to-be ready for this. 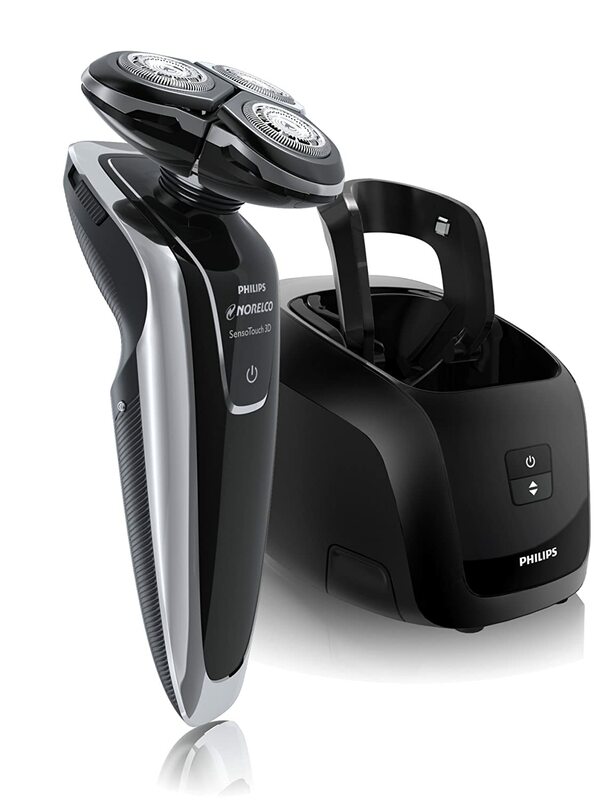 This advance 3D electric shaver makes his face clean faster so he can kiss his baby without irritating the baby’s skin. Baby’s skin is so sensitive and sometimes dads wanted to kiss then so much they forgot that they haven’t shaved their beard and mustache yet. It is important to let our Dad-to-be to always keep his face soft so it won’t irritate his baby’s skin whenever he kisses his darling. He will truly appreciate this gift. He is more excited than any one is and he can’t wait to hug and see his new baby. For the meantime he can just wear this cap and let people know how excited he is to see his soon-to-be junior or princess. Let everybody knows this exciting news. This gift item will really look great on him. Spice up his MacBook on this funny laptop sleeve. It is water resistant and very durable. It has an ultra-plush and laptop grade padded liner for added protection and secure Velcro flap closure so his Mac Book won’t slip. Being a Dad is not an overnight preparation. He will learn things on the way but it is important that he is also prepared of his new responsibility being a father. Make him realize that he is going to be in an agreement that has no expiration or end date. Once a dad and will forever be one. Education with humor! 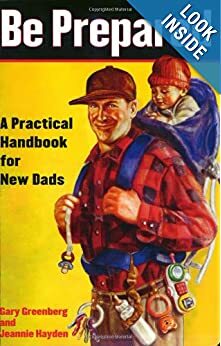 Be prepared is a father’s first year manual written by a man. It teaches the man some tips like what foods the baby should not eat, hacks like home made baths and some nifty tricks like changing diapers. Perhaps one of the best gifts you can give him is education. 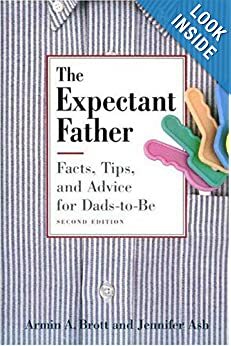 This book tells the expectant father a blow by blow account on what happens to the mother and the baby month every month and what to do and what to avoid. This book is quite serious, without the humor that targets the mother (should he not appreciate that). Try this funny gift idea. He will really love this for sure. 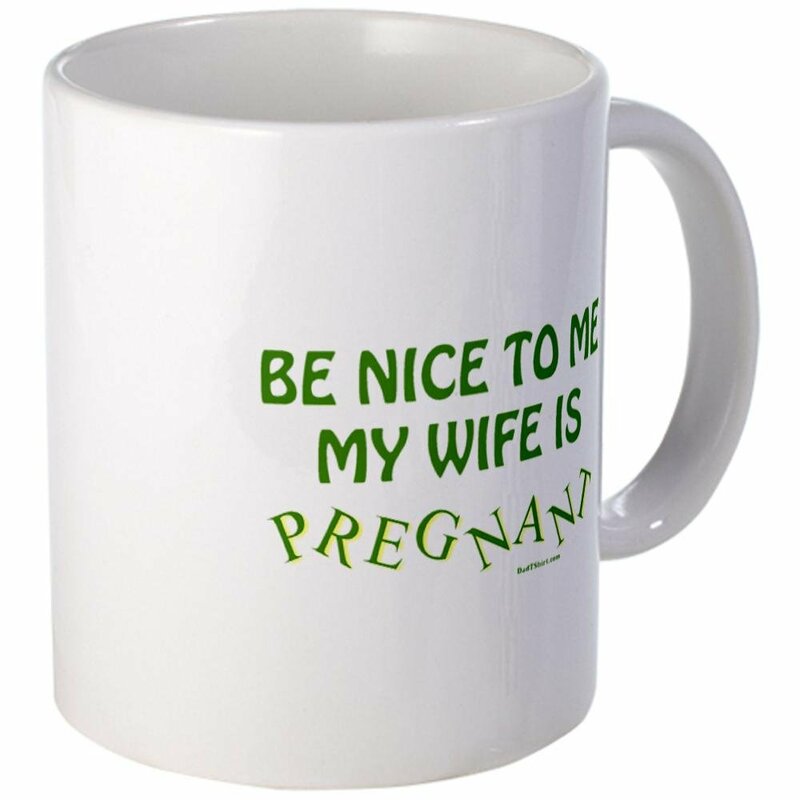 People are nice to pregnant women and I think husbands too. They are the one who take care of his wife’s need and will also be the one in night shift once the baby arrives. He also deserves a treat. Let him enjoy his hot drink to energize him so whenever he needs to rush his wife to the hospital on their most awaited day he is ready and all awake! It is not an easy task to be a dad and maybe that is why most of our Dad-to-be is a bit anxious and scared of their new role. Be there to support them and give them the best piece of advice. This will be the greatest gift you can give him. Congratulations in advance to our Dad-to-be!